China Will Implement Trade Agreement “Immediately.” What Does That Mean For Tesla & Gigafactory 3? Stock markets operate on two emotions — fear and greed. That’s according to veteran traders who have seen it all and then some. No better proof of that wisdom can be found than the gyrations of the global stock markets before and after the G20 conference last weekend in Buenos Aires. 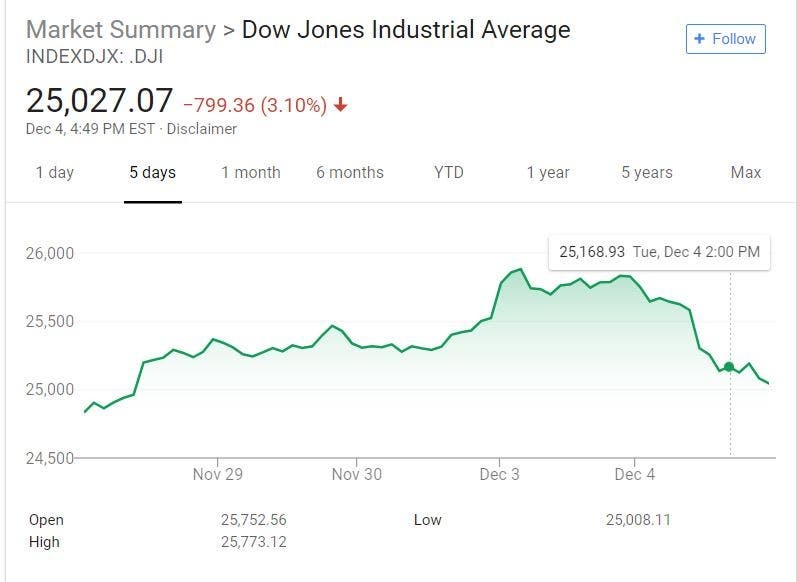 Prior to the meeting, fears that the trade war between the US and China would escalate caused the Dow Jones Industrial Average to sink dramatically, wiping out virtually all the gains of 2018. Over the weekend, a tweet from the US president that appeared to promise a resolution of the conflict sent the DJIA soaring. Then came confusion about just what it was the two nations agreed to — if anything. That sent investors into a panic all over again. The first three days of trading this week have been a financial bloodbath. At a press conference in Beijing yesterday, Gao Feng, a spokesperson for China’s commerce ministry, said, “China will immediately implement the consensus both sides already reached on agricultural products, energy, autos and other specific items.” What he didn’t say is what exactly that consensus might be. Certainly, US officials aren’t bringing much clarity to the situation, as economics adviser Larry Kudlow has been doing little to explain the original tweet, which was ambiguous. Whether that was deliberate or accidental is unknown. There is still much work to be done. Gao added the two sides will continue to discuss intellectual property protection, technology cooperation, market access, and fair trade. Both nations will “work hard to reach a consensus,” he said. 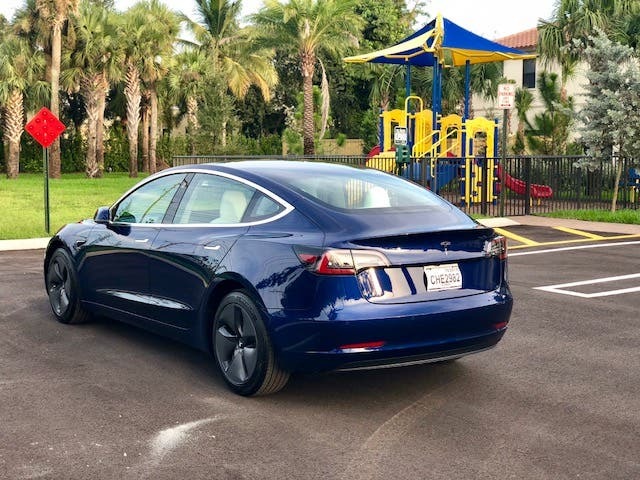 At the present time, every car Tesla imports to China is subject to a tariff of 40% — composed of a 15% regular tariff in existence for some time and an additional 25% tariff imposed after the US initiated his trade war with China. Does “immediately” mean the 25% tariff will now be repealed, and if so, when? Does it mean the underlying 15% tariff on imported vehicles will also be rescinded? We simply don’t know. News reports from China indicate that Shanghai mayor Ying Yong and vice mayor Wu Qing recently visited the site where Gigafactory 3 is to be built to exhort workers and local officials to give the construction of the factory the highest priority. According to CNBC, the factory could begin limited production before the end of next year. When completed, it will have a capacity of 500,000 cars a year. If the Shanghai facility can actually begin manufacturing cars within the next 12 months, that will be a stunning achievement for Tesla. The norm in the car business is 3 years to get a factory up and running. The new factory is expected to produce the Model 3 and the upcoming Model Y. So far as we know, the Model S and Model X cars intended for customers in China will continue to be built in the US at the Fremont factory. Tesla says the lessons learned from creating the Model 3 assembly line in Fremont will allow it to build the new factory in Shanghai and get it started producing cars faster and at a lower cost than its competitors are able to do. Now that Elon Musk has a solid track record of defying the experts, there is no reason to doubt GF3 will be online, at least partially, by this time next year. If the tariffs on Tesla’s other cars are reduced or eliminated, that will only make its pathway to success in the Chinese market that much smoother.